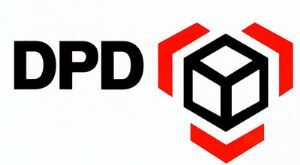 Our delivery is provided by DPD offering you full tracking of your consignment. Order & Delivery processing within Ireland for all 32 counties (North and South) as per the schedule table below. Cost of postage and packaging €4.99 or €6.99, higher rate applies to low value order, threshold sellected at checkout based on the value of your shopping cart. 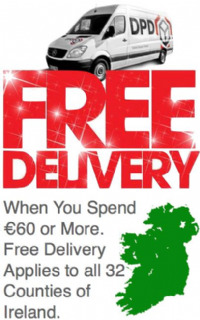 Free delivery is available within Ireland based on the acceptance criteria specified on our Home Page. Tracking consignment number will be issued directly to you by e-mail on dispatch. 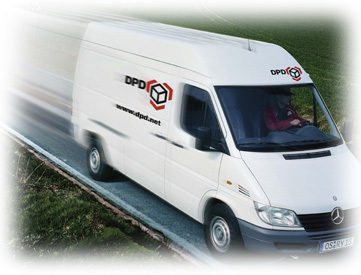 The delivery schedule is not a guarantee, we are subject to the performance of the courier company and are not liable for delays incurred on their behalf. UK Mainland and rest of Europe 3-4 days from leaving our facility. Cost of postage and packaging €19.95 inc. VAT. Please contact us for postal rates, these are dependant on location and weight and can only be calculated when the details of the consignment are known. Orders only accepted with cleared payment method registered to the delivery address. Delivery of Gift Vouchers is by e-mail to the purchaser and by letter post if required, select your options at check-out. 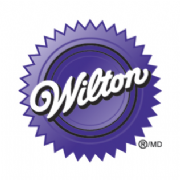 The purchaser will receive a confirmation e-mail of processing and dispatch. For local supply, you may wish to order on-line and collect in-store form our retail unit in Derry / Londonderry. Simply select 'Collection In Store' at check-out. We will inform you by e-mail as soon as your order is picked & packaged for you. Summer stock take will result in a period of non-shipment; this will be notified on our shop so you will have advanced warning of this period. Return to normal business after this time will take a few days to clear any back-log, orders will be processed sequentially.